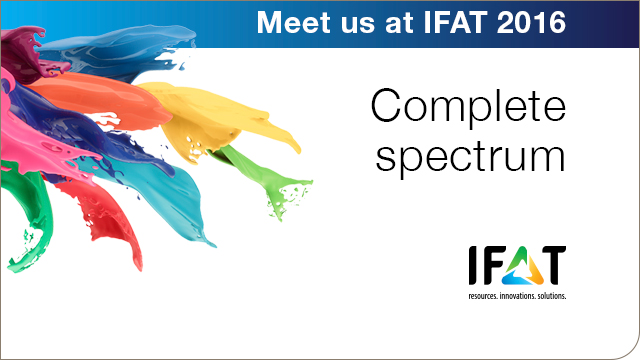 At the IFAT exhibition in Munich, Germany, from May 30 to June 3, Alfa Laval – a leading global provider of solutions and services for the water and waste treatment – presents its complete spectrum of innovative and sustainable solutions. At Alfa Laval’s stands no. A1.251 and 01A.11 visitors will get the opportunity to learn more about the company’s equipment, engineered solutions and services for water and waste treatment - municipal as well as industrial – that ensure optimal performance and minimized life cycle costs. Alfa Laval AS-H Plate Press range embraces manually operated units for small capacities and testing plus a semi-mechanised as well as a fully mechanised plate press with automated separator, operator safety system and a new fully automatic cloth washing machine. Alfa Laval ALDEC G3 Decanter Mobile Test Unit; Try before you buy – On show in courtyard 01A.11 is a complete containerized ALDEC G3 high capacity, high performance decanter system for cost- and energy efficient thickening and dewatering of municipal and industrial sludge. The mobile unit is equipped with everything to run field tests: Pumps, control system, slide gates, sludge conveyor, test lab and Alfa Laval 2Touch Control System. Alfa Laval Service offering. Alfa Laval experts will be on-site sharing their knowledge on how to best use maintenance programs, and specific services like Condition and Performance Audits, to extend the performance of the equipment and minimize total life cycle costs. They will also explain how these services can be included in an Alfa Laval Performance Agreement, which is a customized service contract for our customers. 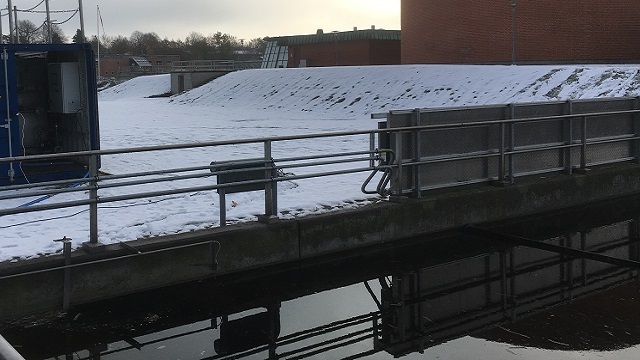 Alfa Laval biological wastewater and tertiary treatment help municipalities and industries comply with strict effluent discharge criteria and fulfil demand for water recovery. On show are the all-in-one membrane bioreactor module and an AS-H Iso-Disc Cloth Media Tertiary Filter; both are compact, gravity driven and operator friendly delivering superior effluent quality immediately suitable for reuse e.g. 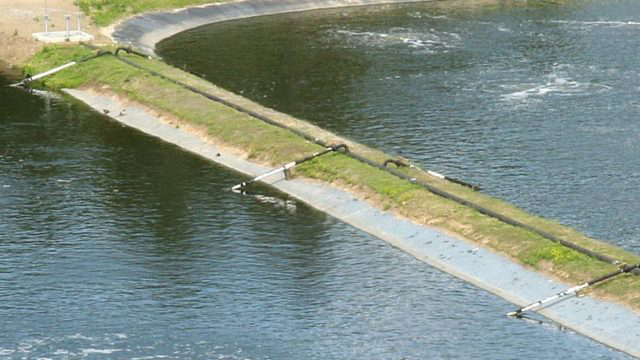 for irrigation, cooling towers and lakes. Also featured are membranes for ultrafiltration and reverse osmosis for final polishing that enable reuse for potable water. Zero liquid discharge systems – Evaporators and crystallizers based on Alfa Laval’s recently launched WideGap 100 as well as the AlfaVap heat exchangers are ideal for concentration of effluent, waste reduction and product recovery plus water reuse in many industries. Examples include anaerobic and salty chemicals effluent, oilfield produced water, reverse osmosis reject, and power plant applications. On display is also a wide range of thickening and dewatering solutions for efficient waste reduction in wastewater plants and waterworks as well as equipment for heat exchange and heat recovery. At IFAT Alfa Laval is hosting a press breakfast at stand A1.251 on Tuesday May 31 at 08.30. For more information about Alfa Laval’s solutions and services, location, press breakfast etc. please visit www.alfalaval.com/IFAT2016.